We offer the best quality and safest lab tested herbal medicines, in extracted herbal granules and lab-tested raw herbs. We carry Geo-authentic herbs. The classical herbal texts have recorded that specific herbs harvested from different geographic regions differ in their therapeutic effect. Regions that are indigenous to the plant ensure the possible natural growing climate and soil parameters to produce best quality results. We carry lab-tested herbs which mean that all of our herbs, both raw and extracted granules have been tested for heavy metals, pesticides, fungicides, preservatives, aristolochic acid, sulfur fumigation and microbial contaminants to ensure best quality/effectiveness and patient’s utmost safety. Our suppliers will chemically test each batch of herbs for impurities and key active ingredients, and will provide certificate of analysis upon request. Currently, Taiwan and Japan are the world leaders in the manufacturing of extracted herbal granules. Oriental medical hospitals in Taiwan and Japan exclusively dispense extracted herbal granules due to their unrivaled quality and scientific standard. Extracted herbal granules are called scientific herbs in Taiwan and the Japanese National Health Insurance system will only cover the cost of herbs if they are prescribed in extracted herbal granule form. 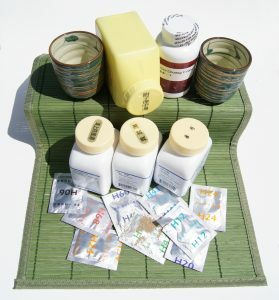 Granule method of taking Oriental herbs is convenient, portable and safe. To adapt to the modern times, we must ensure that raw herbs are tested for safety. There are many harmful chemicals that did not exist in traditional times. In our opinion, ingesting raw Chinese herbs that have not been tested for safety may be extremely dangerous due to the widespread use of pesticides and chemical fertilizers in Chinese herbal agriculture. In many Western countries, medicinal herbs are classified as supplements rather than medicine that they rightfully should be. Therefore, pharmaceutical safety regulations are not in place for raw herbs. 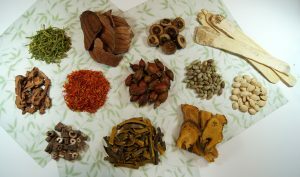 The lack of safety regulation has resulted in the unethical and incorrect use of Chinese herbs by unqualified practitioners and entrepreneurs in Western countries which may result in the harm of patient health. Fortunately, the demand for safety inspection of raw Chinese herbs is slowly emerging. River Clinic Dispensary is proud to provide only geo-authentic and lab tested raw herbs from the Nuherbs Corporation based in Oakland, California. These raw herbs are the highest quality safest in the entire history of Oriental medicine. The function of herbs is experimented and recorded with the ones that are indigenous to their environment. 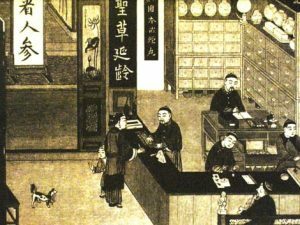 95% of the classical botanical medicinal are found naturally in China. When they are grown away from their natural habitat, they had inferior quality or reduced therapeutic efficacy. Sourcing herbs from their natural habitat is actually very important to control efficacy of the medicine. Japanese and Korean herbal pharmaceuticals may replace a single herb of a compound formulation with a local variety only if they had comparable quality and efficacy, to not affect the compound formula’s effect. Cultivated herbs are farmed for mass production. They may be genetically modified or sprayed with insecticides, pesticides and fungicides. They are usually fumigated with sulfur dioxide following harvest to prevent spoilage caused by bugs and mold. Some people may have reactions or sensitivities to these types of herbs. Organic herbs are grown without the use of chemical fertilizers, fertilizers, pesticides and are free from genetic modifications or enhancements. Organic is a legal concept that refers to some form of certification process by a regional and/or national agency, which needs to be applied for by the herb farmers. Since the demand for organic certification is very low in local Chinese markets compared to North America, the cost and prerequisites for certification for small time herb farmers in China may become too high. Some herbs which test negative for pesticides and harmful chemicals beyond regulatory standards are still not labelled as organic. Wild-crafted herbs refer to herbs collected from their natural or indigenous habitat. They have not been cultivated by men. Although this may be as natural as one can hope to get, habitats may get damaged in the harvesting process. The best practice to obtain this type of herb is by Responsibly Wild Crafted. They are harvested with minimal environmental impact and herbs are replanted with long-term sustainability in mind. Our raw herb supplier Nuherb shares the same philosophy on environmental impact and ecological sustainability. For more information regarding the dispensary and herbs we use at River Clinic please refer to our sister corporation: River Herbs Dispensary.